﻿Shira's acupressure sessions provide a non-invasive, safe, and holistic solution for physical pain and tension, challenging emotions, and taxing thoughts. It's a way to effortlessly renew your sense of well-being. The minute I get on that table I feel "safe". I know that I can talk to Shira about my innermost feelings and emotions without judgement. She provides the services with an open heart and an open mind. I feel totally relaxed on the heated table together with her soft spoken voice one can trust her completely. 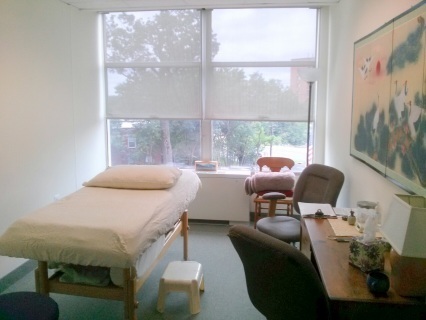 The Spectrum Center offers a private and warm space in which to tend to your whole self. Shira's training, experience, and dedicated meditation practice lend themselves particularly well for addressing emotional pain, difficult memories, and challenging patterns of thought and/or behavior stemming from a one-time or prolonged exposure to deeply distressing or disturbing event(s). These may include witnessing or experiencing violence, childhood trauma, and physical, emotional, mental, and/or sexual abuse. With Shira's gentle touch and undivided attention, you're supported not only to relax but also to effectively release patterns of holding or stress in the body, mind, emotions, and spirit--whether they've been there for a few days or a lifetime. Learn more about Soul Lightening Acupressure. Complementary to other Chinese Medicine modalities, like acupuncture, as well as Western Medicine, medication, therapy or counseling. Saturdays: By request. Call or email for availability. (Corner of 16th & Spring; ample free parking; Metro/Metrobus accessible. Map, info, & directions). Cash / Check / Debit / Credit / PayPal accepted. ​(gratuity is not necessary nor expected). Book your session online now @ schedulicity.com/scheduling/SORJJM/services. If you prefer to schedule via email/phone, or when scheduling less than 12 hours in advance, EMAIL info@shiraozsinai.com or CALL (240) 839 - 1661. Print out the form below, fill it in, and bring it with you to your first session. OR, complete the form when you arrive (about 5-15 minutes). Please make any cancellation or change to your appointment a firm 24 hours or more ahead of time via phone, email, or the online scheduler. Any no-show or cancellation within 24 hours of your appointment time will result in a charge equal to 100% of your session's fee. SIGN UP FOR SHIRA'S FREE EMAIL UPDATES! "a shira session"... Shira (seemingly) effortlessly created an invitation for me to explore the conscious and unconscious within me. the song of her voice suggests safety, acceptance and non-judgement. she is a true gem! This package deal includes 3 sessions, each 60 mins long. Expires 12 months after purchase. This package deal includes 3 sessions, each 90 mins long. Expires 12 months after purchase.